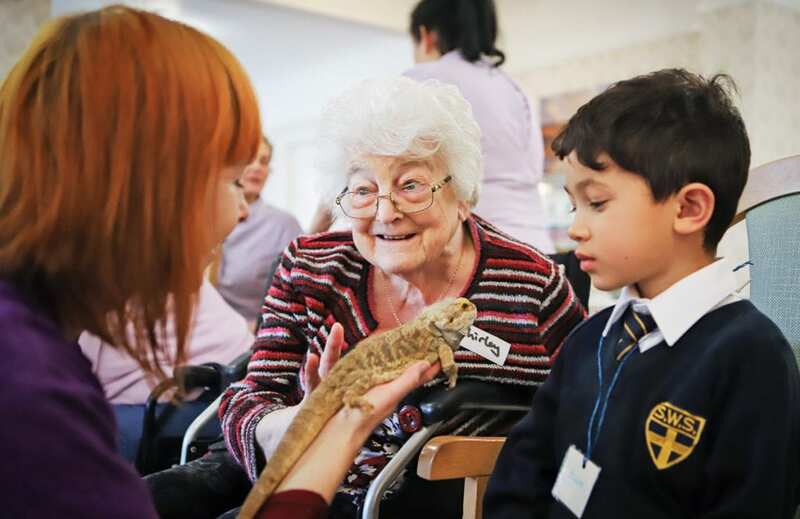 Bournemouth care home residents welcome children – and creatures! 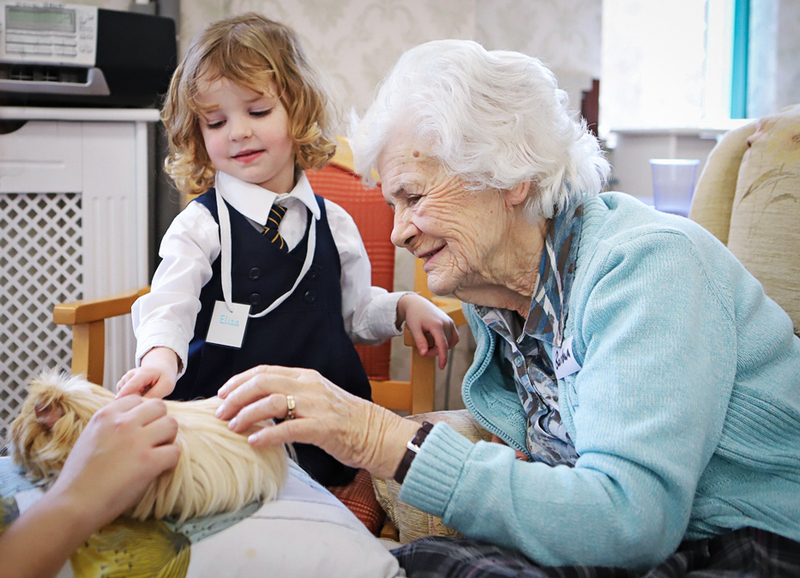 Residents at our Bournemouth care home, the Retired Nurses National Home (RNNH), were delighted to welcome local primary school children to the home last week. But it wasn’t just the children who came to visit! Chickens, owls, guinea pigs and lizards joined the reception class pupils from St Walburga’s primary school. Residents were thrilled to welcome the children and their furry friends, which were provided by the Creature Teacher organisation. 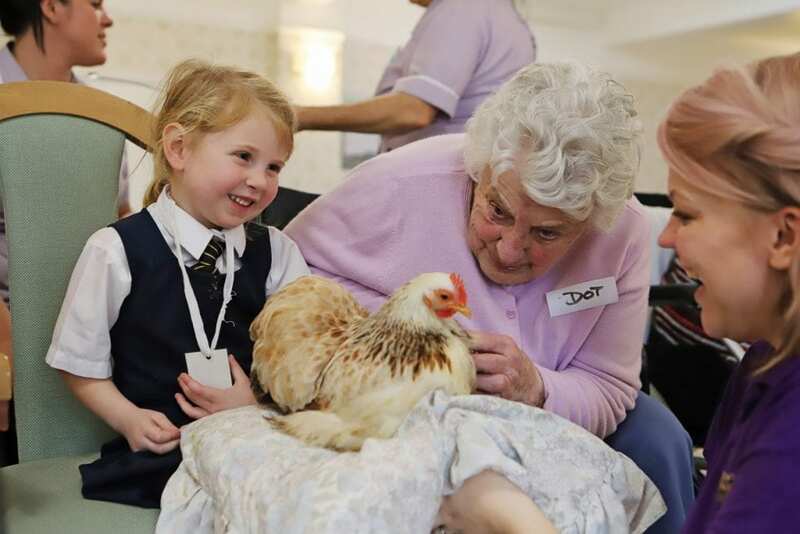 Both children and residents shared the experience of interacting with the creatures together during the intergenerational activity. 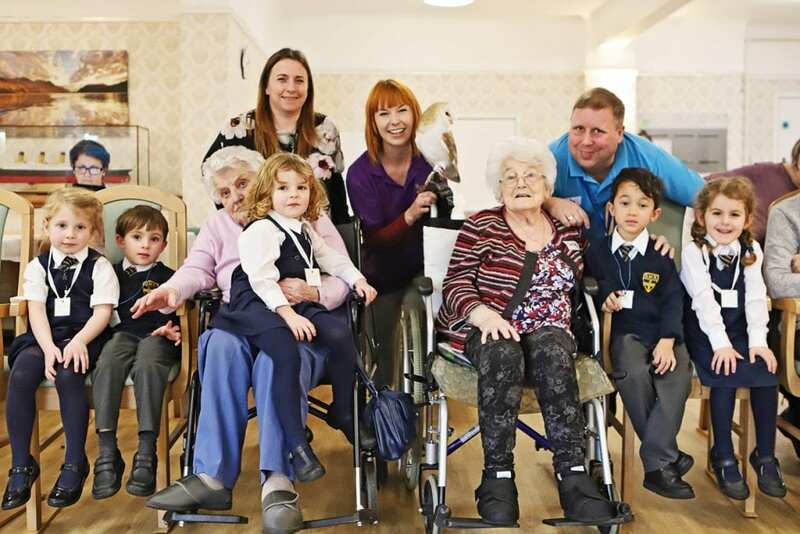 The visit was part of the official partnership between the local primary school and the Friends of the Elderly home. The partnership sees four and five-year-olds visit the home every Friday afternoon from January to July. Resident Dot Holland said she had a wonderful time with the children. Robert Paton is RNNH‘s Activities Coordinator. He shared how residents and children get so much from the intergenerational events. Our Bournemouth care home specialises in dementia care. 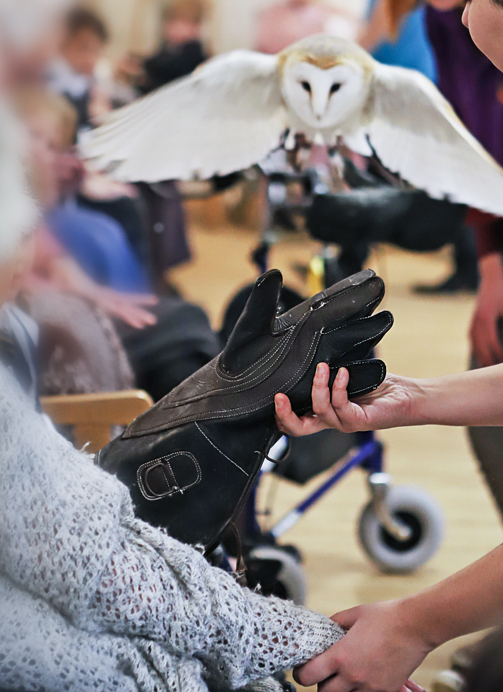 Activities such as these have a significant impact with supporting people living with the illness. He said: “We’re delighted that the partnership with St Walburga’s School has been so successful. We’re in our second year now and it’s going from strength to strength. Teacher Hannah Kassiri said: “Our students really enjoy our visits to RNNH – it’s a wonderful way for them to interact with the older community, which is something that is very important for us as a school. If you would like to find out more about our Bournemouth care home, please email hello@fote.org.uk or call us on 01202 396 418.